When designing a Free to Play game, one of the trickiest things to do is to create a fun, balanced and lucrative in-game economy. This is something I do not pretend to be a master of as every game is different and there are countless ways of going about it. However, in this post I will *try* to explain my methodology of designing, building and testing an economy and how to optimise one. If you have any experience in doing this yourself and are willing to share your trials and tribulations, I would love to hear from you! How is this applicable to F2P games then? Well every F2P game makes money from in-app purchases (IAP). A customer spends real money to purchase something that is only usable in-game, a virtual item or currency. When building an economy, our goal is to charge the best possible price for the items on sale so that many people buy them, at a price that makes the developer or publisher the most amount of money. 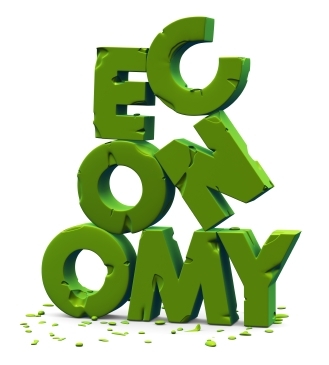 Taking a step back from games, let’s look at real life to describe an economy. Most of us work for a living to earn money, which we then spend on essentials, goods and services. For example a service we all need is a place to live, and for many of us, our dream is to possess our own house. To buy a house, we usually need to save up a lot of money as houses are expensive to make. However, the cost of the house is also determined by a number of other factors. For example, where is the house located? If it’s in a nice area, it will be in more of a demand and prices will increase. Supply and demand is a huge contributing factor, as if there are too many houses, then people have lots of choice and house prices tend to drop. However, if there are not enough houses in an area, then prices will increase as they become a sought-after commodity. In London for example, despite the UK being in the midst of a triple-dip recession, house prices are actually increasing! This is because so many people still want to live in London that houses are still sought-after and many foreign investors have decided to use their funds to own capital property to take advantage of this desirability and make money from the rental market. 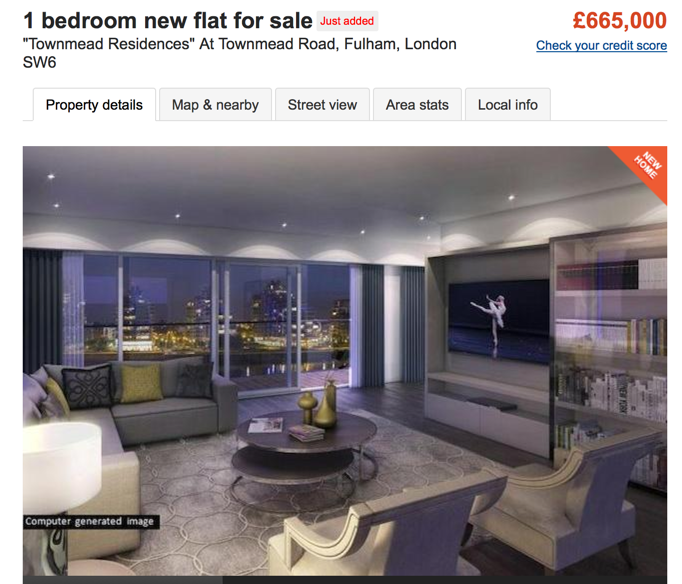 London house prices – why you so crazy?! Now coming back to games, we are selling items that do not physically exist. So that should mean that supply and demand is never a contributing factor. For example, when you want to buy 500 diamonds in Hay Day, there is an infinite amount of diamonds to go around the entire world. And yet Supercell can charge £2.99 for 130 diamonds to refill all of your lives and hundreds of thousands of people around the world pay for it. Game Loop design is what makes a compelling reason for wanting to buy a virtual item. Game Economy is how to create the supply and demand of resources (currencies) in a game so that there are deliberate bottlenecks that players need to resolve either by paying with time or real money. No matter what F2P game you play, there will always be currencies that are bought / traded / converted and exchanged. For many games this is something very obvious such as gold coins. However, it’s not just these obvious examples that can be considered currencies. In Candy Crush, you require 3 friends (we call this a “staffing mechanic”) to gain access to new level chapters. This means that the amount of friends and friend requests you can acquire are effectively a form of currency that is exchanged for something tangible in-game, progress. A list of currencies found in F2P games. This is not a comprehensive list and some games can have a multitude of currencies. Not that some abstract terms such as time can also be considered a currency. In a classic city building game, you spend coins to buy buildings that generate coins themselves in your city. This means that a building is actually a Tap or source of virtual income in your game. It’s called a tap because just like a tap on a bathtub, something comes out / is produced from the tap. When we turn on a tap, water comes out, when we collect from a building, coins and xp come out. After a while, the initial investment in the building is paid for, making it “profitable” for the player. This provides a meta-game for the player to build the best buildings to make the most amount of money in the shortest amount of time. Thinking about the bathtub again, a sink (or plughole for bath) is where the water goes. When the water goes down the sink, it is never seen again. This same effect in a F2P is also called a sink or drain. In many village games, you can purchase a decoration which looks really nice in your Village. The decoration does not provide coins, so is not a tap. Money spent on a decoration is never recouped. Plumbing. Not only an important life skill, but as it turns out an amazing analogy for thinking about F2P economy design. Finally we have levers. 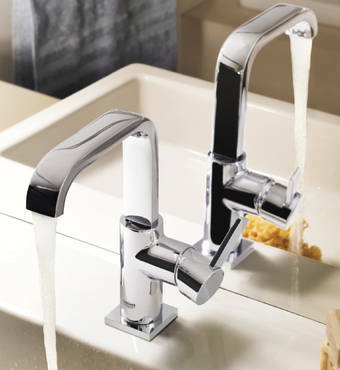 Levers are effectively a combination of a tap and a sink, depending on their operation and state that they are in. For example in Dragon City, you have to feed dragons to make them stronger and level them up. However, those dragons can then be used in fights to win coins. This means that although a dragon initially starts off as a drain, taking resources and costing currency, in time it can be a tap where it is providing a lot of income for the player. A lever is therefore sometimes known as a converter as it is consistently converting one currency type into another. Once you have your game currencies mapped out, and your loops, you should now work on a flow diagram to see how those currencies interact with one another. This will determine your sinks, taps and levers and how they operate with each other. To explain this I am going to use the title Snoopy’s Street Fair which has a simple loop and economy to understand and interpret. 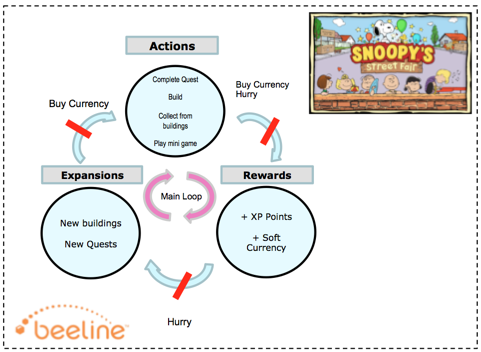 The core loop of Snoopy Street Fair upon release. A very simple game to understand and analyse that is still profitable to this day. 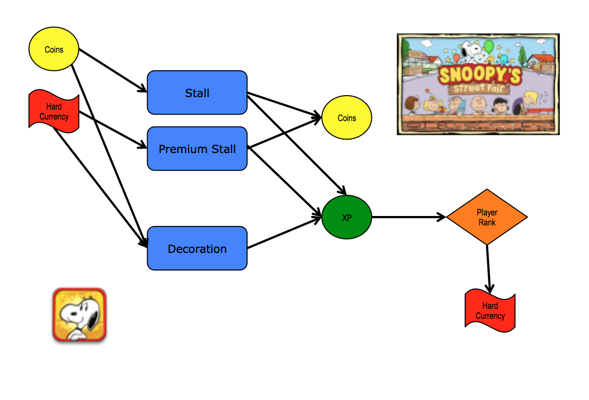 A basic interpretation of the currency flow in Snoopy’s Street Fair by Beeline Interactive Europe. This game used the classic city-building model, and the player’s goal is to place stalls and decorations in their village so that more kids come to visit. There are 3 types of building in the game, stalls, premium stalls and decorations. Stalls and premium stalls generate coins and XP per time period, whereas decorations only generate XP per time period. Earning coins means that the player can place more stalls and decorations. This means the player gains more XP per time period, meaning they can increase their overall player level (rank) and buy more items. This is the natural progression of the game and it continues over and over. Using this data, we can start to calculate how much money a player will have after various time periods in the game. By knowing how much XP and coins a player will have after a certain amount of time, we can start to price new buildings they can purchase by pricing them at a level that requires a number of collections from basic buildings over a fixed amount of time. A good game has a feeling of progression, meaning that over time new items / gameplay mechanics / features should be introduced. In a City-builder game, this means introducing new buildings at later points in the game. Using the information from one stall, we can semi-accurately forecast a point in time where the player’s overall income is around the 2000 coins per 5 minutes mark, based on the number of buildings they currently have in their fair. When we can forecast this point, we can introduce a new item to build a little earlier that can be built for 1500 coins. We introduce the item a little earlier so that the player has an aspirational goal to work to (a new building) to keep them playing the game. 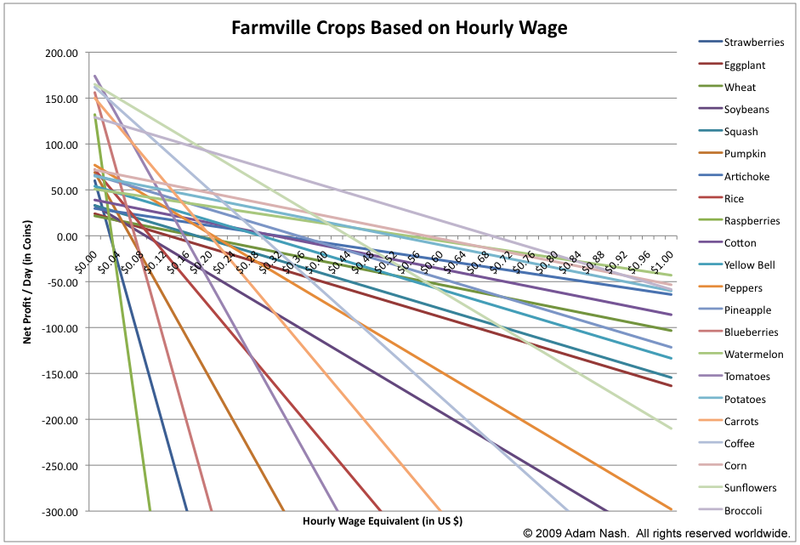 A chart showing the amount of coins earned per hour based on the crops that can be grown in Farmville. Notice the way crops are balanced against each other so that crops that can be grown quickly / without much effort do not have as much value as crops that take longer to grow / more effort to maintain. So what determines the prices of objects and when they are introduced? This depends entirely on how you want to setup an economy in a game. You could choose to be generous, allowing the player to earn very quickly and power through a game, or you could set it up to be incredibly harsh so that a player has to spend a long amount of time to progress. Generally speaking, most F2P economies are setup to be exponential curves. The reason for this is that you want to make it easy for players to progress early on, but you want the difficulty / amount of work that is needed to increase steadily over time. This so that eventually we can introduce a pinch point (more on that in a minute) into the economy which will tempt players to spend. If you have a linear economy, then it’s too easy to proceed and players won’t really have to spend money to progress. 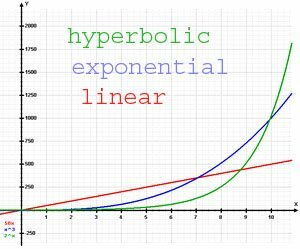 In a hyperbolic curve, the economy usually jumps to a level of severity that is too harsh too quickly, leading to big retention rate drops. However, each game and each game economy is different and it’s impossible to say that one type is the best type to use in every situation. In the Snoopy example, there are several things we must take into account that are not mapped into the currency flow. The biggest is time, which governs the collection rate in the game. 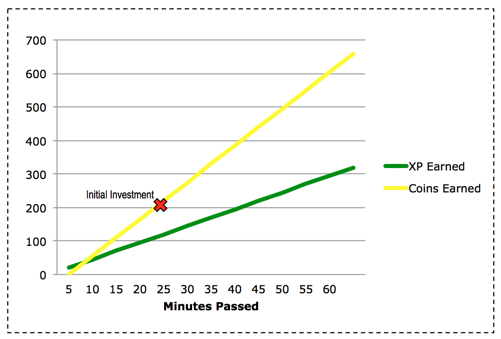 In the chart displaying the initial investment mark being reached, we assume that player collects at exactly 5 minute intervals. Not all players can play a game for lengthy amount of times, meaning that more likely a player will come back for 5-10 minutes about 8-10 times a day. It’s at these periods that they will collect coins from stalls. Some games also feature the AC mechanic, which stands for “Anytime Collect.” Henric Suuronen’s amazing article on this covers in exact detail why this mechanic is so good, but the thing to bear in mind here is that in these games we cannot be certain that players will have money at specific times. A player that has long play sessions can earn a lot of money quickly and use that to power ahead in the economic curve. This means that many adjustments are necessary to cater for this increase in revenue. Usually taking into account the item cap is the best way to do so but this is worthy of a post in itself so I won’t go into detail right now. In Facebook game Galaxy Life, players can collect from buildings at any time. The buildings earn coins per second as opposed to a lump sum of coins paid at the end of a time period. A pinch-point is the level of inventories of a commodity or product below which consumers of that commodity or product become concerned about security of supply. When inventories are below the pinch-point, small changes in the balance of supply and demand can cause large changes in the price of the commodity or product. An example of a pinch point in real life can be seen when a Fuel strike occurs. 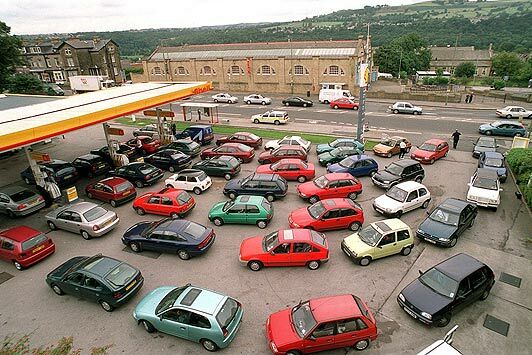 During these periods, car owners flock to petrol stations to fill up with as much petrol as possible because when the strike starts, they won’t be able to get any. This means there is massive demand and many petrol station owners increase the price to take advantage of the increase in demand. They still make money because people are still motivated enough to want to buy the petrol because of the fear of shortage. Time to break out the Oyster card! (An Oyster card allows you to travel around the London public transport system). In F2P games, a similar methodology applies. At some point in the game, an object will become highly desirable (energy, lives, coins, items). At this point the game economy will be structured so that the player does not have enough of that resource to continue, giving them a huge reason to want to buy more of that resource. In Candy Crush Saga for example, some levels are really difficult and the player can’t progress. At this point if they don’t have enough boosts, they will find it very difficult to progress. Here the demand for boosts is high, but the supply is very low. The player will therefore have to grind and complete the level without boosts, or pay to buy enough boosts to help them out. The trick here is therefore to choose the right point in the game to create this effect. In a City-builder game the approach is different, but the result is the same. At a certain point, the amount of soft currency / xp the player is earning won’t be good enough to progress quickly. 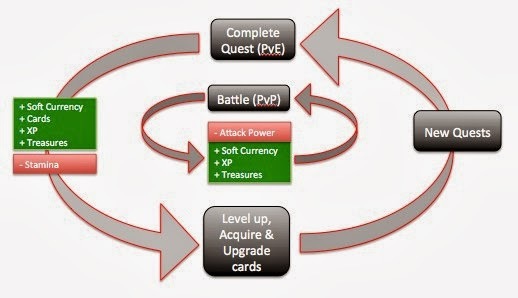 The player then has the option to purchase more currency to make up for their shortfall, or buy premium buildings that allow the player to progress at a faster rate. Here the demand is for more coins, but the supply (the rate of earning) is not high enough. When building an economy, as a designer you should have an overall objective of the optimal way you want users to play your game. This means that you can focus a user pattern to deliver that experience. Most successful games use multiple loops consisting of a core cycle and several sub-cycles. The core cycle is usually used for retention, with sub-cycles used for social and currency sinks (monetisation). Concurrent – I want the play to go through both loops as often as possible, and do not care if they go through the loop at the same time. For example in Dragonvale I want users to build items for their park AND breed new Dragons at the same time. Precedence – I want the player to go through loop A more than loop B. For example in Rage of Bahamut, I want the player to go through the PvE (Player vs. Environment) loop first and then when that’s done (or as a consequence of finishing) go through the PvP (Player vs. Player) loop. Power User – I expect most players to go through one loop but converted players can go through both / multiple. Heavy spending (time or money) users can proceed through loop B faster and gain a social driver advantage (leader board / rank / status) for doing so. This pattern is frequently used by Guild vs Guild games. Time Sink – If you play the game for 5 minutes, you can go through loop A. If you want to play the game for hours, you go through loops B / C which are time sinks. These designs are not exclusive. For example, you could have one loop take precedence over another but have one of those loops take a short amount of time, whilst the other is a Time Sink. 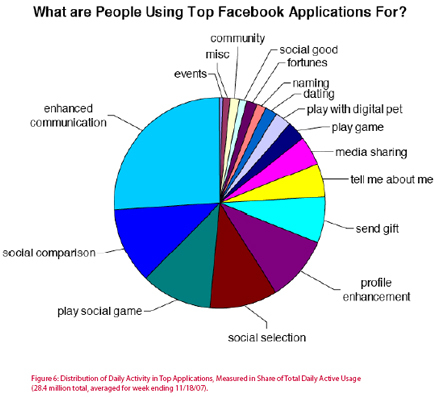 Although it’s not a game, I would think about Facebook as an example of user patterns. Some people visit and just check out their Timeline / News Feed, then exit. Some people do that and then go onto post new content / comment on others. Some people come in and sink a lot of time by talking to other people / playing games / organising their profile. A breakdown of the different uses of Facebook. Facebook uses a concurrent usage pattern as they don’t really care how you are using the service, as long as you are using it. However, as a games designer, ask yourself if you want users to choose their own experience, or if you want to focus people into one habitual / optimal way of playing? If you are using multiple game loops, then you need to quickly identify which currency and / or action can be used to unify all loops to tie them into one another. Here’s a look at the two game loops featured in Rage of Bahamut and other Mobage card games. I’ve taken the diagram from the amazing Deconstructor of Fun blog by Michail Katkoff and I highly reccomend look at this for a plethora of examples of how economy fits into the overall picture when creating a F2P game. This is a view of the two game loops in Rage of Bahamut and other Mobage card games. Although not immediately apparent, in these games it’s the cards that unify the loops. Although the player can only acquire cards as a result of PvE, they can use the cards in both PvE and PvP. This means you either grind to get more cards, or spend on Gacha card packs and use them straight away in PvE / PvP. And having more powerful / better cards helps you progress through both loops at a faster rate. Thus the economy is setup so control the drop rate and power of the cards collected and acquired during the game. If you have dual loops that do not overlap in some way, it can create a confusing experience for the user and will lead to dropping or complete lack of interest in one of the loops in your game. A lot of care and attention should be taken to optimise a game economy once a game is live. Metric and A/B testing can be used to experiment and tighten up areas that may result in “low hanging fruit.” A good way to begin is to A/B test with two contrasting economies, one that is very generous (player’s get lots of soft currency and are not blocked often) with one that is the complete opposite (player runs out of things to do very quickly). Almost always, you will see that players have a better retention rate in a generous economy, but spend more in a harsh economy. – Player level when first session / subsequent sessions are stopped. – Amount of sessions played per day. – Length of time per session. Armed with this information, you can begin to make educated guesses as to how to change values in your economy to support these best practices. So for example if you find that players are able to play for an average session length of 30 minutes, you can increase the rate at which energy runs out at so that sessions finish on average after 15 minutes. You can then compare this to overall retention rate. If players stop playing the game as a result of these changes, drop it and try another route. However, if it works then you increase your revenue by making more pinch points at which to spend. That’s the theory at least! Game Economy is for me one of the “dark arts” of F2P games. Looking back through this post I can see that many things are very unclear and it’s hard to really explain the way to design and optimise an economy without having a thorough understanding of many of the subtleties of social / F2P game design. For that I’d like to apologise, and I’m likely to write another post going through some of the subtleties in more detail in the future. However, I hope this gets you thinking about how to connect the various components of a Free-to-play game and stresses the need to look the the “big picture” of your game. Contains a series of spelling errors. Thanks, now corrected. I write this blog in my spare time so there are often small errors. Pingback: Гремучие кущи » Blog Archive » Подборка статей об игровой валюте – часть 1. Маленькие хитрости магазинов. Pingback: Гремучие кущи » Blog Archive » Подборка статей об игровой валюте – часть 1. Как люди тратят деньги?